Last week we presented a couple of ways of how to spend your classic vintage car dollars and keep it under $10k or under $20k. 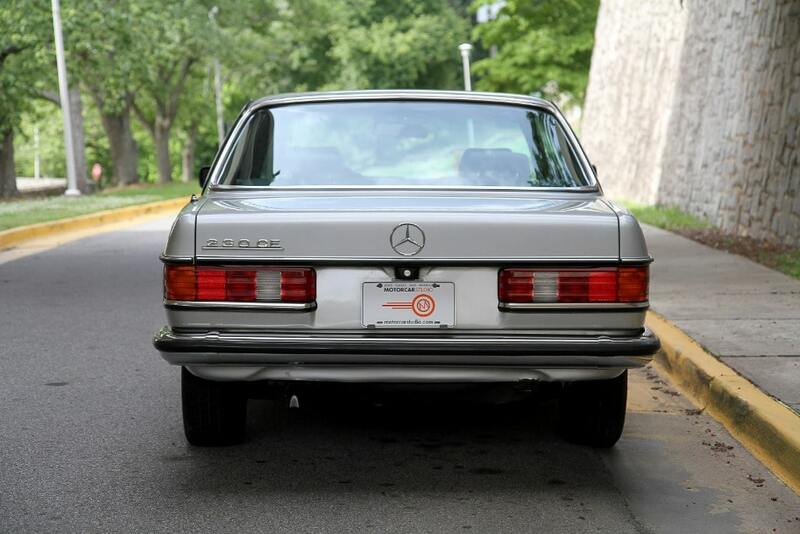 Today’s feature comes in just under $12k for a unique Mercedes-Benz not originally offered in the U.S. 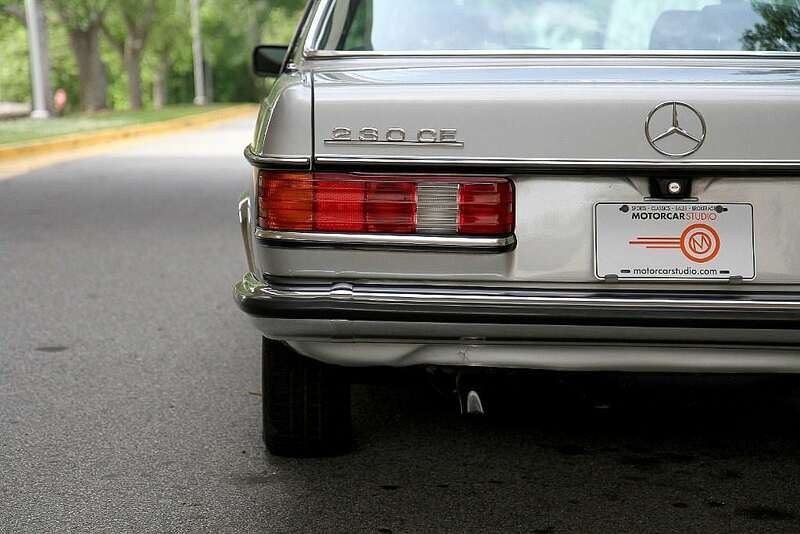 Built on the W123 Mercedes, it is the most successful Mercedes platform with almost 3 million cars being sold before replacement by the W124 after 1985. 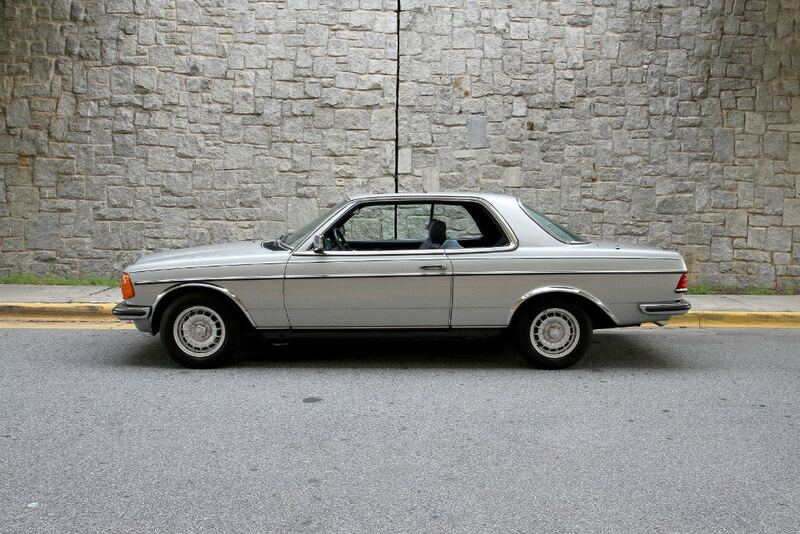 We also shared a full-length feature earlier on the 300D/TD. 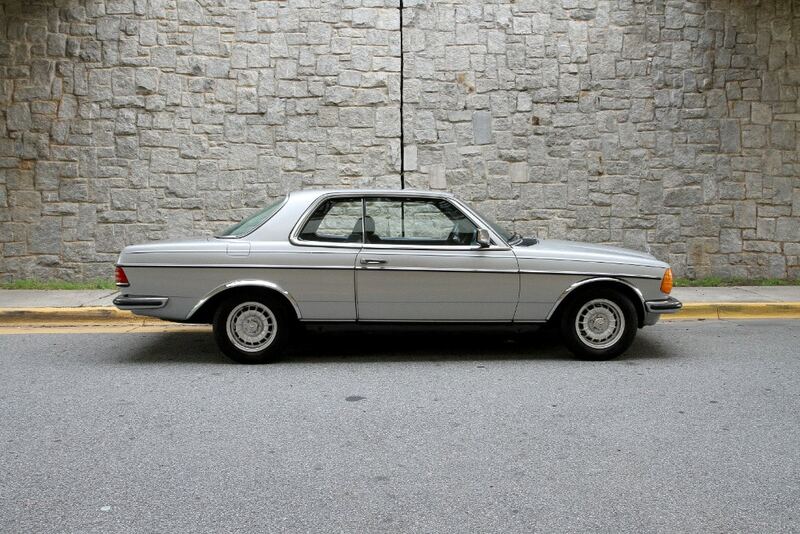 The most outstanding feature is the reliability of these now aging Mercedes. The least outstanding feature is possibly the performance…you could almost entirely rewind one side of Billy Joel’s Innocent Man before accelerating to 60. 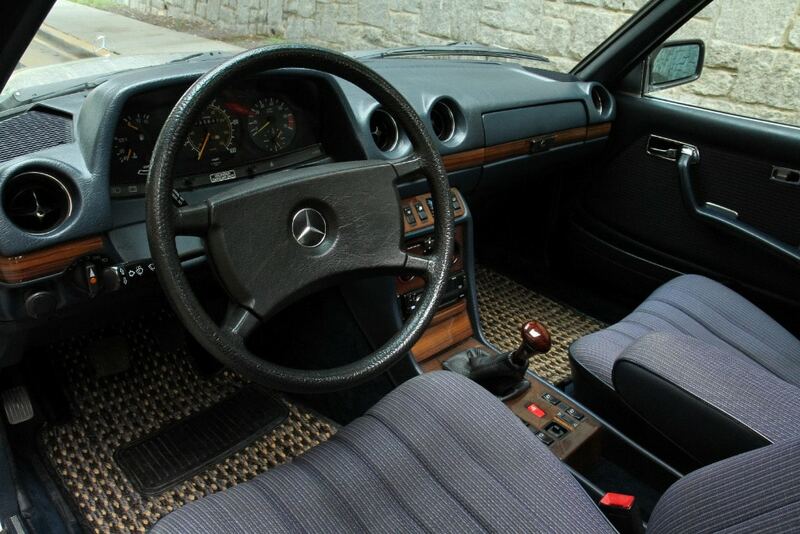 But we all know you’re not buying a 35 year old Benz for track day. Rarely seen in the U.S. this grey-market example was imported by special request when new and has been lovingly maintained, largely by the same marque specialist, throughout its life. 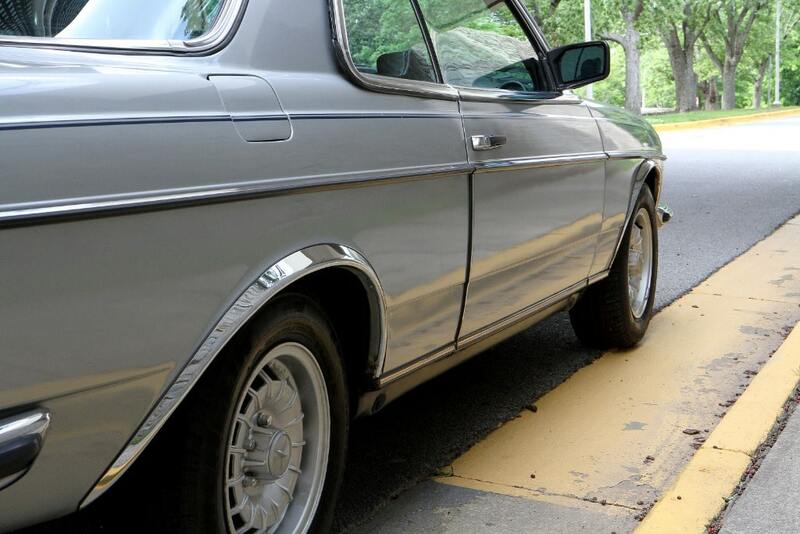 The timeless color combination coupled with the European bumpers and headlights set this W123 apart. 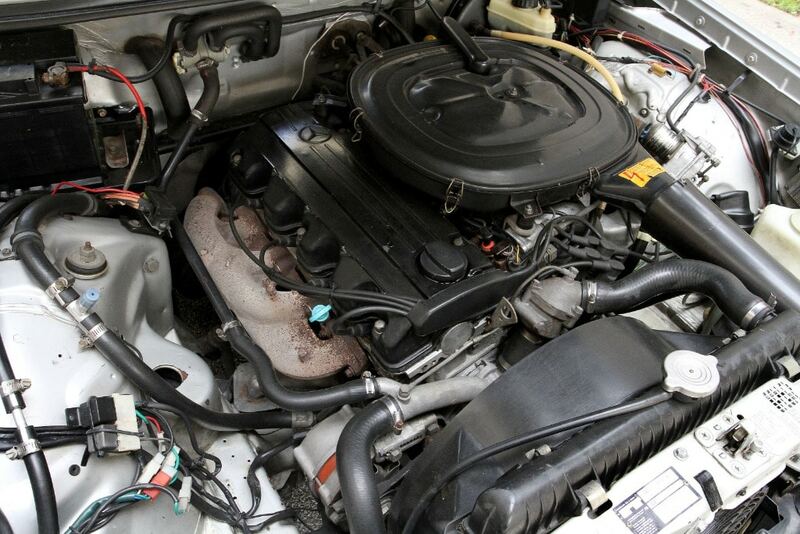 Power comes from the 2.3 liter M102 engine mated to a four-speed manual gearbox. Paint and body generally show well with a rust bubble noted low on the front right fender and a small spot at the base of the rear window — underneath is tidy and rust-free. Interior is in excellent original condition and highly optioned with A/C, power sunroof, power windows and power adjustable headlight aiming. Factory bundt wheels are wearing older Michelins, larger CLK wheels with nearly new rubber are included with the sale. 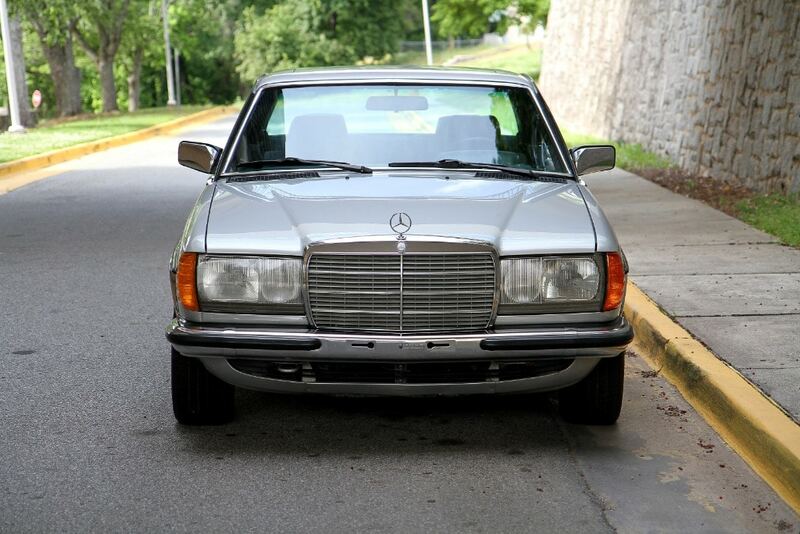 This entry was posted in For Sale, German Classics and tagged 230CE, 300TD, grey market, mercedes-benz.